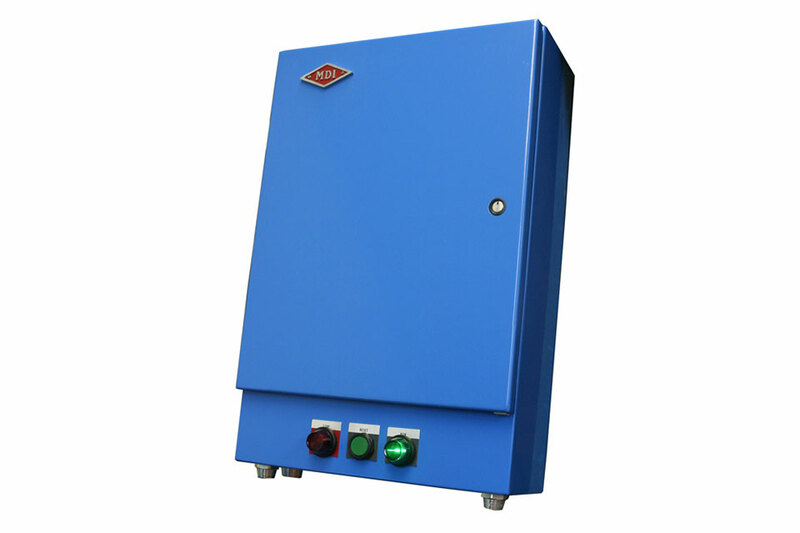 Control Enclosure — Metal Detectors Inc.
MDI has two custom designed control cabinets; both are constructed of rugged steel and carry a NEMA dust and water resistant rating. Outfitted with industry leading Allen-Bradley electrical components, these enclosures will provide the longevity and durability that you expect from MDI. 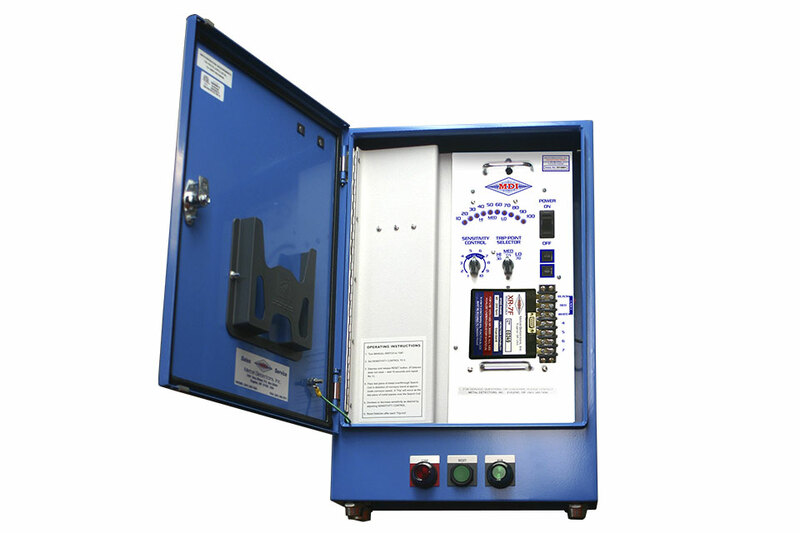 All MDI Metal Detector Systems are standard equipped with a NEMA 4/12 rated 20-gauge steel control enclosure. For our customers that require a cabinet to withstand the most extreme of environmental conditions, MDI offers a premium NEMA 4X rated 16-gauge stainless steel cabinet. As always, all MDI Metal Detectors are completely modular allowing for any of our Control Enclosures to be used with any MDI Metal Detector ever manufactured, analog or digital. This makes for ease of service as well as ease of installation, especially if the metal detector is undergoing an upgrade from analog to digital. Experienced sales staff and engineers are ready to design the perfect NEMA rated cabinet for your application.